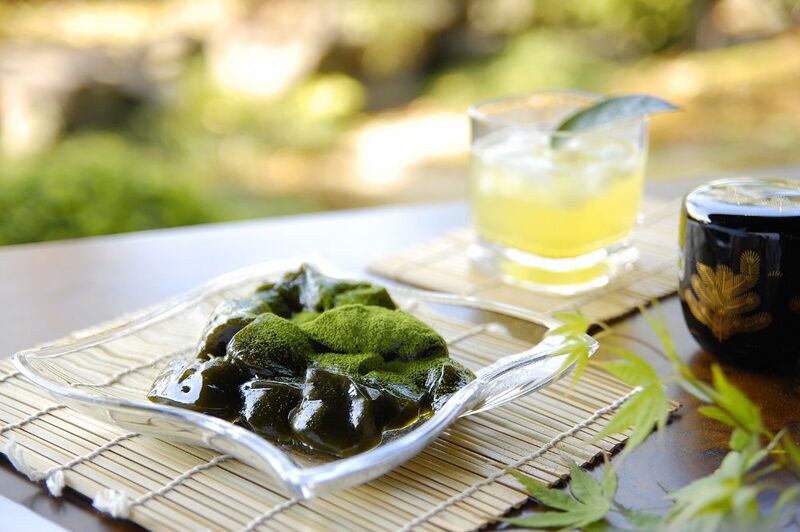 Excellent aroma and delightful flavor of Uji Green Powdered Tea have been produced in this luxurious jelly with a dark green color. 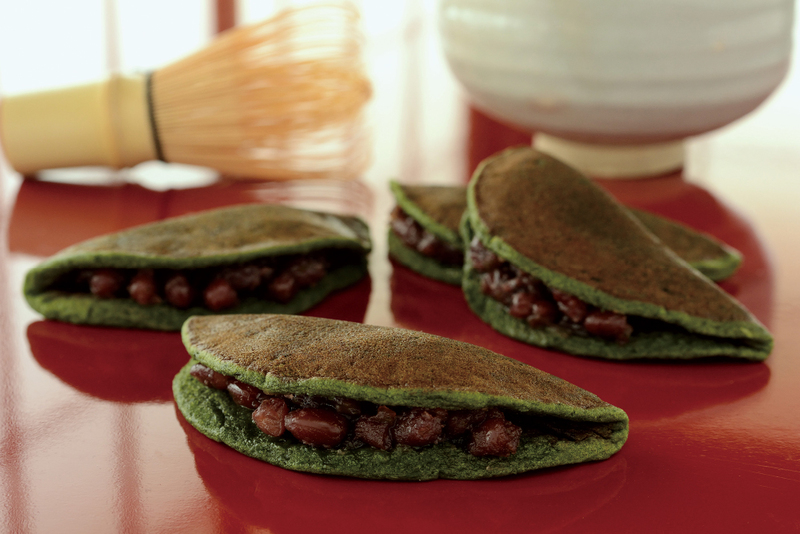 The texture of rice flour dumplings and the pleasant sweetness of azuki sweet beans produced in Hokkaido enhances the aroma of green powdered tea. 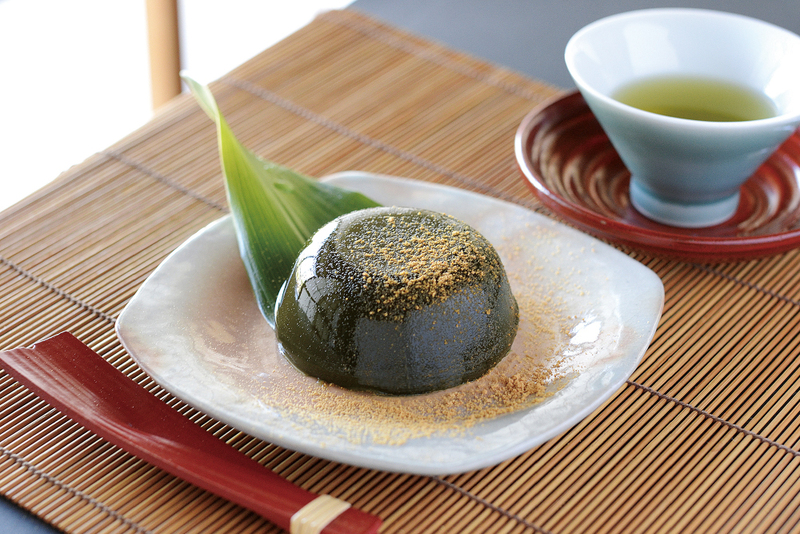 Pouring the rich sauce of Uji Green Powdered Tea over the jelly greatly enhances its exquisite taste. 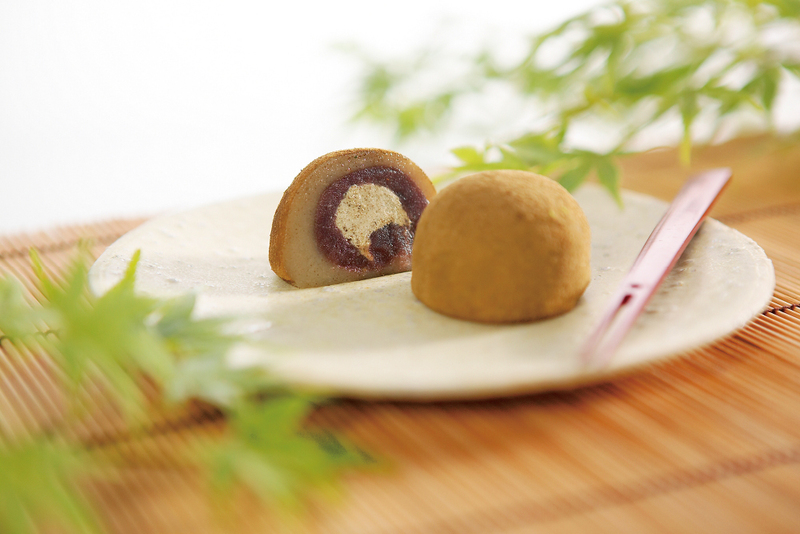 Silky smooth cream and Hokkaido-grown fresh azuki (red bean) jam mixed with brown sugar, is covered by a silky-soft Habutae rice cake and also richly drenched with freshly-ground Uji green powdered tea. 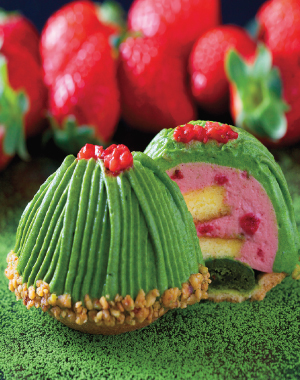 Please indulge in luxurious pleasure with this elegant, mouth-wateringly sweet delicacy. This exquisite sweet blends high grade Uji green tea, fresh cream and rich white chocolate with just a hint of naturally fermented junmai-ginjoshu sake from Fushimi, Kyoto. 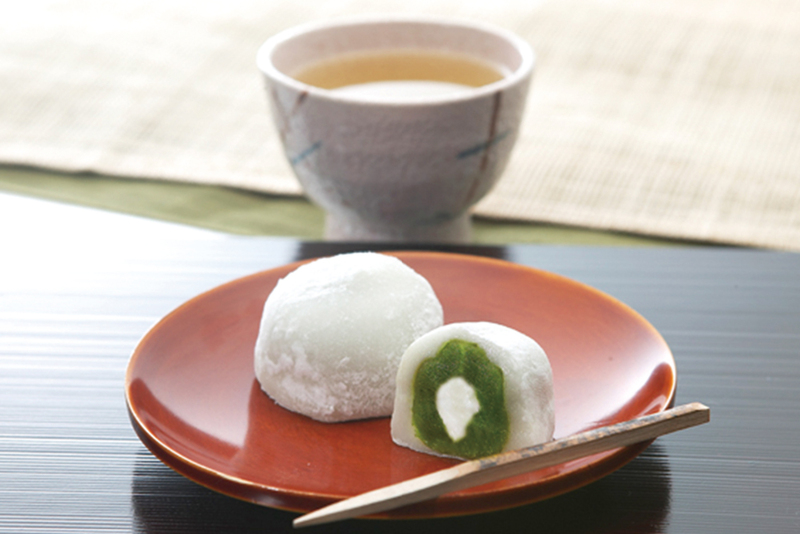 Tsujirihei Honten has made every effort to bring out the “freshness” of this treat. 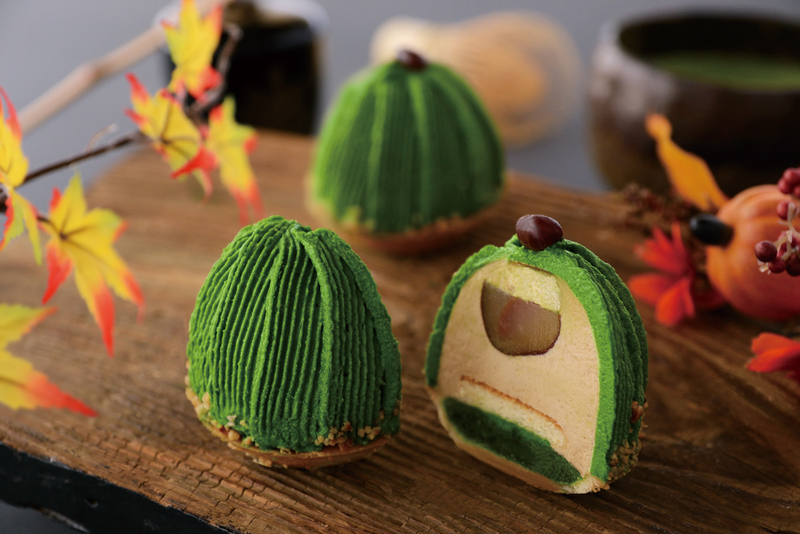 Uji Matcha Mont Blanc is made with cookie dough paved with Matcha crème d'amande and contains chestnut cream placed and wrapped in Matcha cream with a marron glacé. 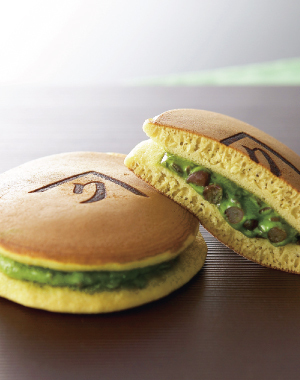 The marron glacé and Hokkaido-grown red-beans help spice up the savory stone-ground Matcha as the specialty of this established shop. 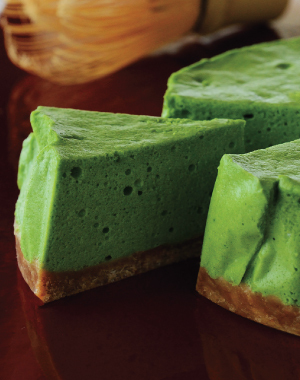 Uji Matcha Cheese Cake features its “rich taste”, using freshly stone-ground Uji Matcha and a plenty of quality cream cheese. 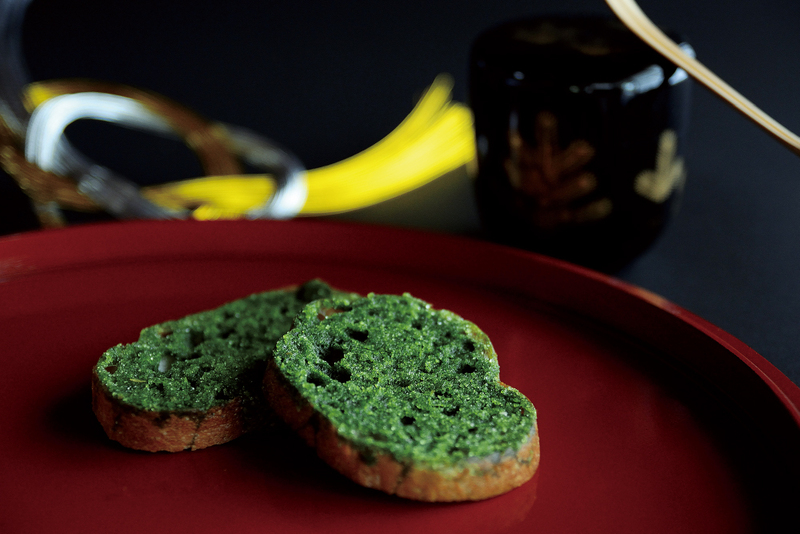 Please sprinkle Matcha served separately, if you like. 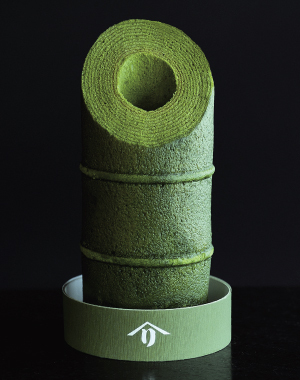 An abundant amount of rich, green powdered tea cream is wrapped in a fluffy, textured sponge cake, in which freshly-ground green powdered tea is luxuriously kneaded. Once you have a bite, the elegant, thick tea flavor spreads in your mouth. 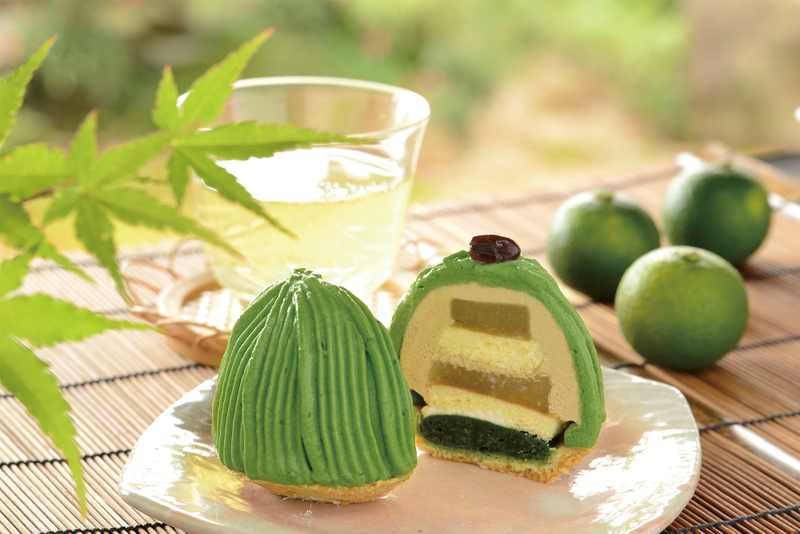 Please enjoy a relaxing tea-time with this roll cake and a cup of green tea. 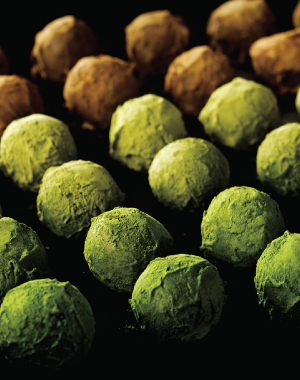 A deep, matcha flavor is mixed with sweet chocolate in an ideal balance. 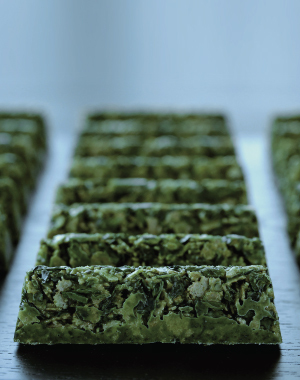 Uji green powdered tea that is generously used in the cake, is toasted twice and ground in a stone mill to enhance is savor. 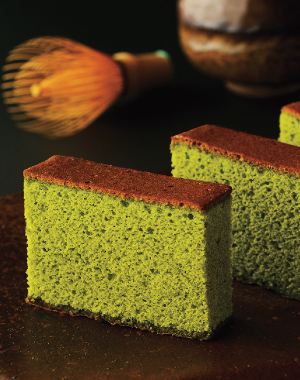 The cocoa-flavored, moist sponge cake in the third layer gives the effect of highlighting the powdered tea flavor. If you are a green tea lover, who likes the stronger flavor of green powdered tea, sprinkle green tea powder (included with the product) over the cake before eating. 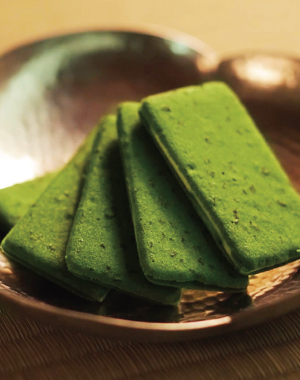 We are convinced that lovers of green powdered tea will enjoy this product very much. 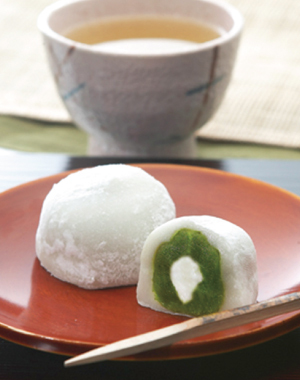 Once you have a bite, its chewy, moist and soft texture and authentic Uji tea flavor gradually spread in your mouth. 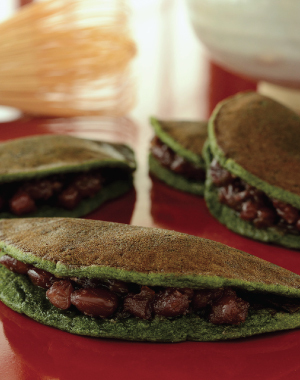 Freshly-ground Uji green powdered tea mixed cream and Hokkaido-grown Dainagon azuki (red bean) jam are put between Mochiko (sweet rice flour) pancakes with the irresistible chewy and soft texture of Mochiko made domestically. Truly skilled artisans carefully bake these pancakes with their own hands and brand our logo for a finishing touch to complete one of our featured products. Please enjoy the fresh Uji tea flavor. Kyoto has a long history with bamboo as told by the Tale of the Bamboo Cutter. The perfect climate has made it a producer of tall, fine quality bamboo. And, because of the cultural environment of the area, Kyoto has become known as a capital city of bamboo. 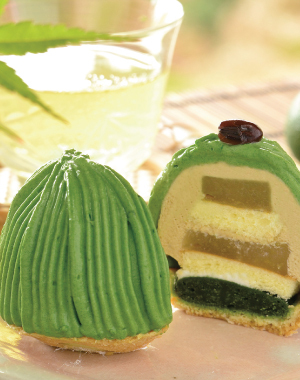 Made with plenty of Uji green tea and fresh cream, this fluffy and flavorful baum is shaped to look like a bamboo stalk. 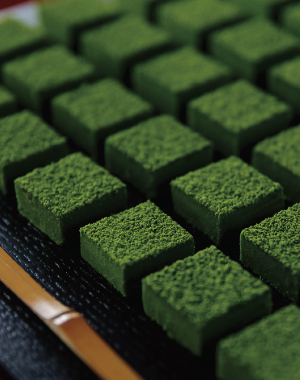 Tsujirihei Honten is happy and proud to convey the culture of Kyoto through Uji green tea. 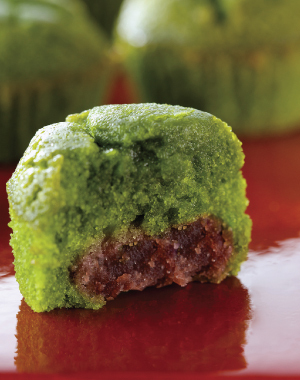 Perfectly-sweetened Hokkaido azuki bean jam covered with Mochi (rice cake) luxuriously containing Uji Green Powdered Tea and Tencha (Steamed and dried tea leaves). 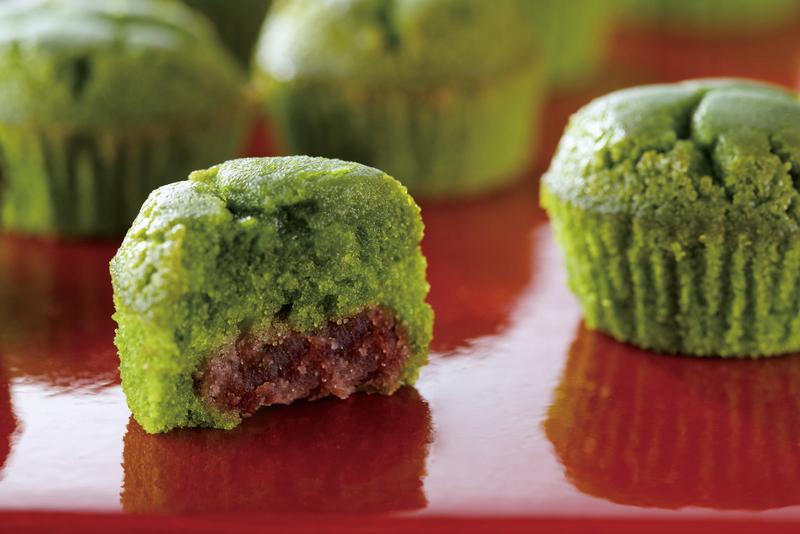 Let this confection’smouth-watering, chewy texture, spread on your palate with its elegant and savory powdered green tea flavor and the perfectly-sweet bean jam made of azuki, grown in Hokkaido. 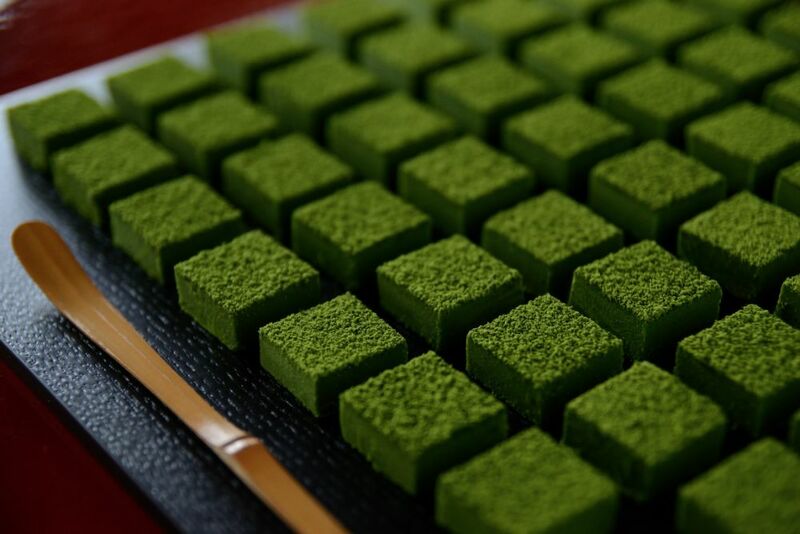 You should indulge in the great pleasure of this authentic confection made from silky, white Belgian chocolate and finely-ground, thick, green powdered tea from traditional stone mills and ‘Tencha’ tea leaves, picked in Uji, Kyoto, world-famous as the origin of the finest green tea. 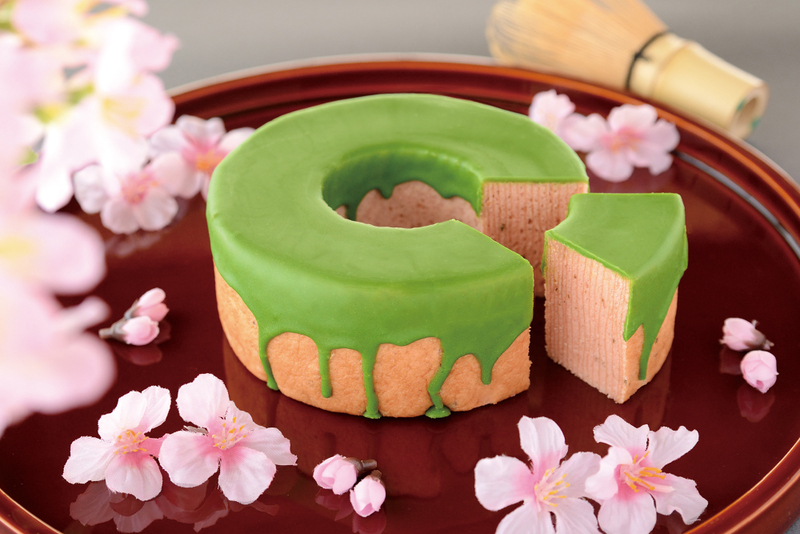 The shape is inspired by the broad, spreading green tea fields of Uji. It deserves its nationwide reputation as the home of the long-established tea industry of Uji, Kyoto. The created soft texture is pleasant in your mouth. 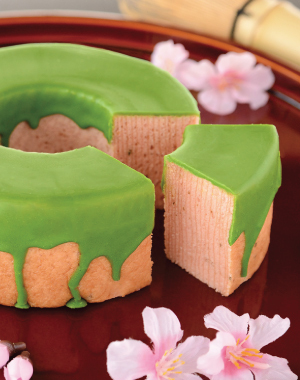 To maintain the vivid green color of Uji Green Powdered Tea in the cake, we bake it slowly at low temperature. Please enjoy the delightful combination of distinctive fragrance of green powdered tea and Japanese sweet beans providing a mild sweet taste. We are glad to offer you an excellent cake of Uji Green Powdered Tea and sweet beans, the best partner for a relaxing time. 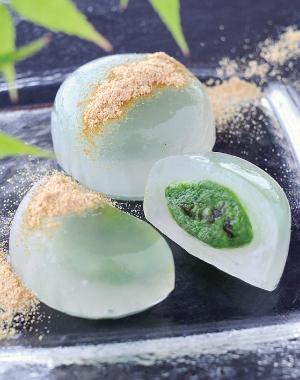 Very smooth and chewy jelly is made from genuine bracken starch and freshly-ground Uji green powdered tea. 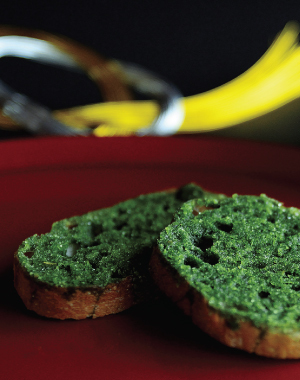 Velvet smoothness, fresh taste and savory flavor of powdered tea spread across your palate. 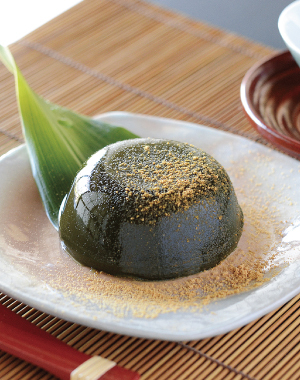 Sprinkle Kinako over Warabimochi, if you like, before eating. 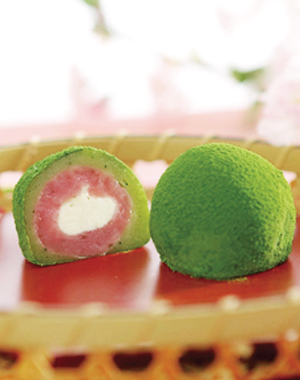 Please enjoy this Kyoto-inspired summer delicacy. 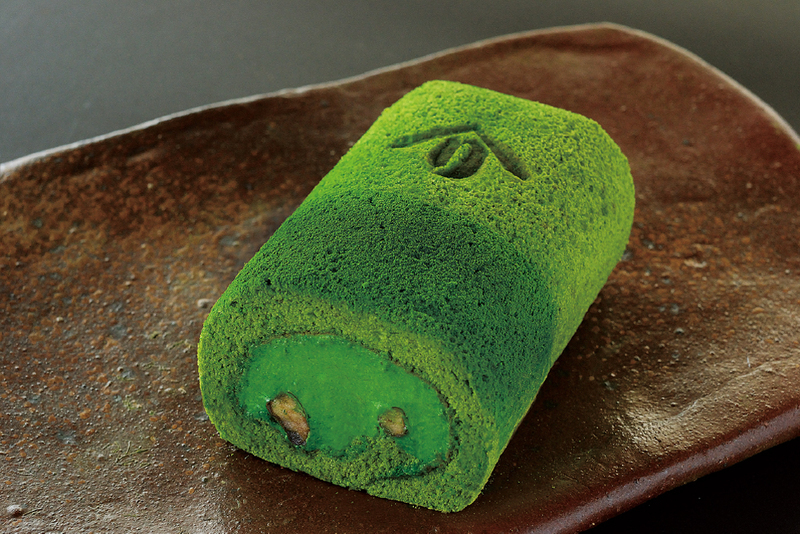 This delightful sponge cake is made with carefully selected ingredients and plenty of stone-ground Uji green tea. It strikes a delicate balance between the slightly bitter green tea and the sweet sponge cake. Each cake is tenderly made by hand one at a time and baked to a tasty, fluffy and moist finish. 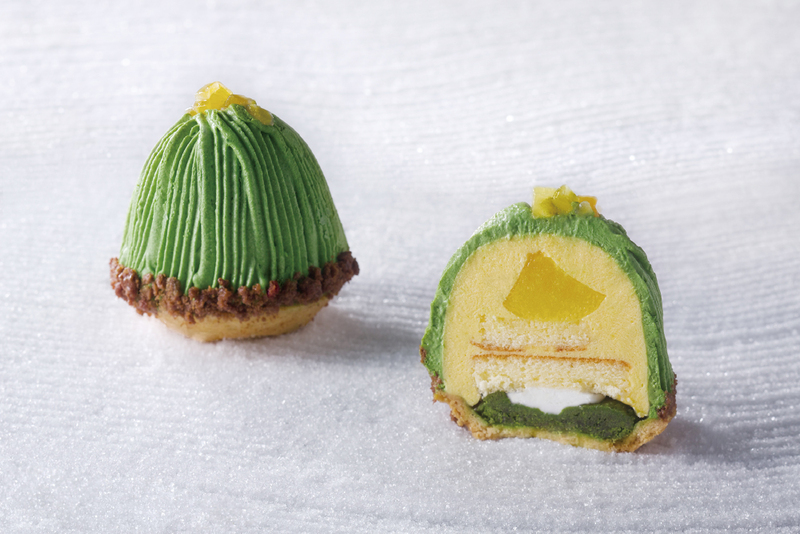 This delicious confectionary pairs the bitter sweetness of green tea with the refined sweetness of white chocolate. 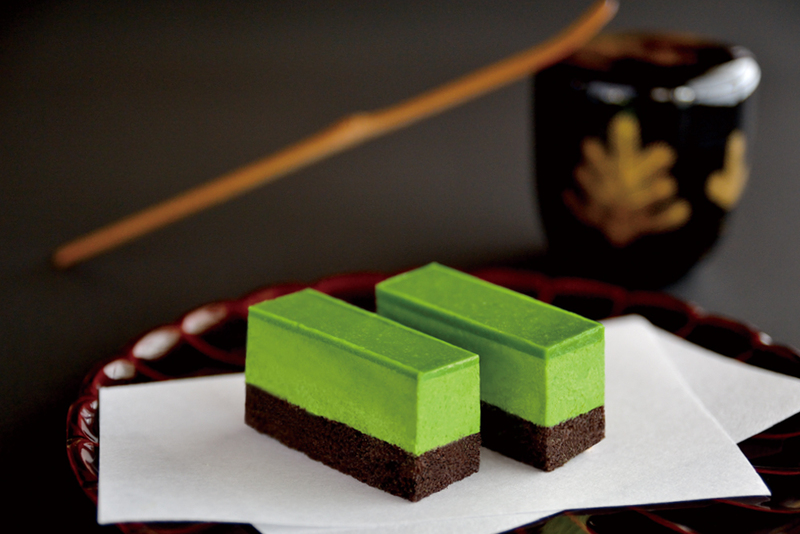 The chocolate is sandwiched between chewy green tea cakes made from tealeaves that have been carefully cultivated for flavor in Uji, Kyoto, a world renown region for high quality teas. It will fill your mouth with the aroma of green tea. 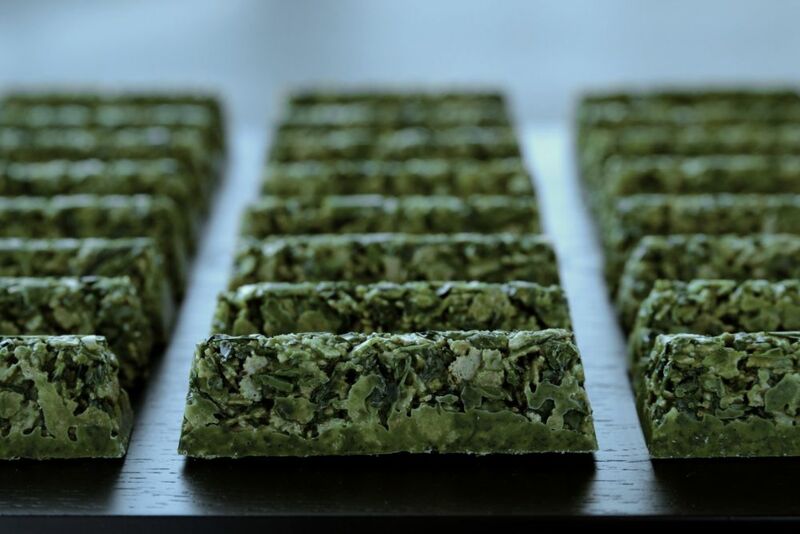 Matcha containing tea leaves, allowing you to enjoy a delicate sweetness and bittersweet taste. Hojicha appeals with a spicy aroma of roasted Uji tea and Genmaicha; spreading an invigorating and fresh aftertaste of green tea while retaining a spicy aroma of roasted brown rice. 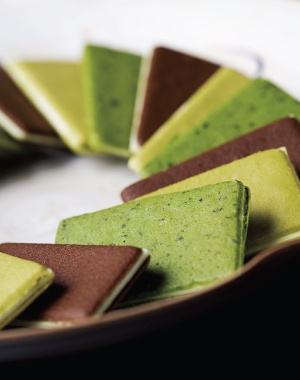 The three assorted flavors of langue de chat allow you to enjoy both the taste and aroma of Uji tea. 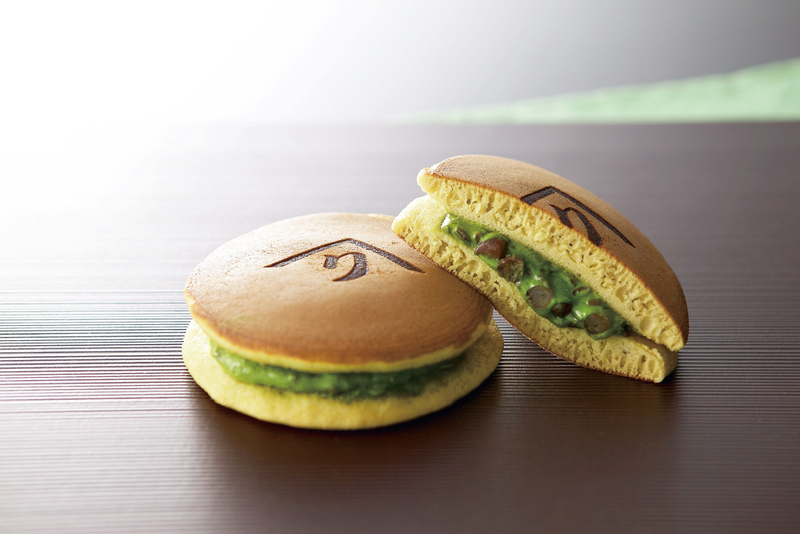 Freshly-ground Uji green powdered tea is luxuriously sprinkled over a gracefully soft Habutae rice cake with silky smooth spring-inspired pink colored bean jam and cream inside. It is one of our masterpieces representing Uji. Please do not miss the chance for this time-limited delicacy! 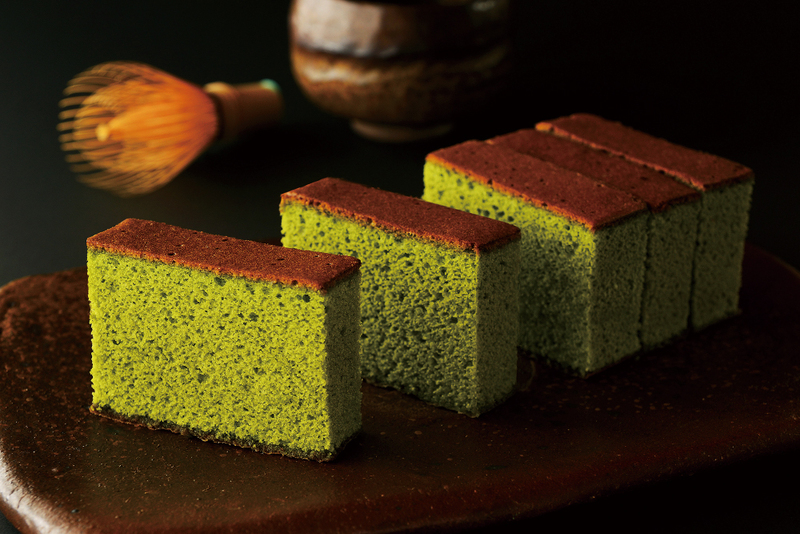 This layered cake is made with ample amounts of fresh cream and baked to a fluffy finish, then topped with a fondant of Uji green tea chocolate. With its elegant fragrance and subtle pink dough, this fresh-looking baum is in every way remindful of graceful cherry blossoms fluttering in a breeze. 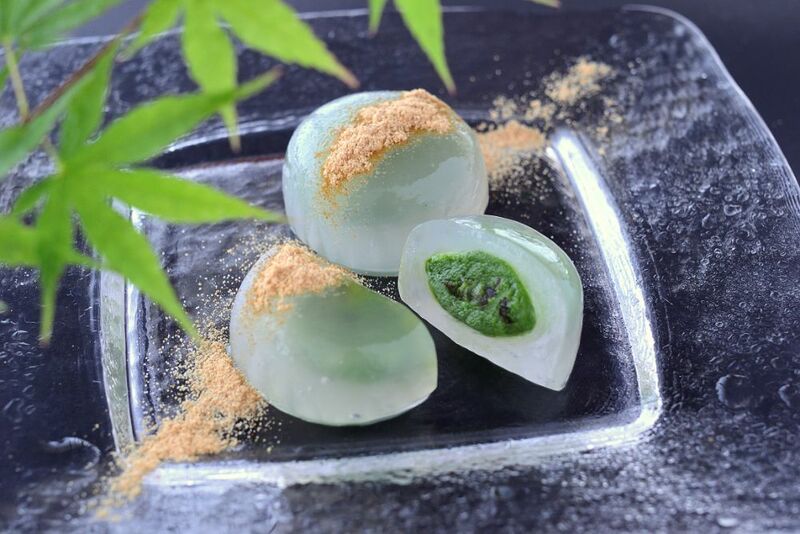 Very smooth and chewy jelly is made from genuine bracken starch and freshly-ground Uji green powdered tea. 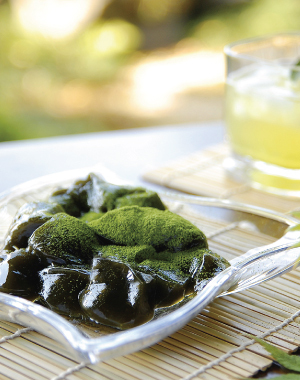 Please try it and enjoy the taste of the jelly itself after refrigeration, or sprinkle domestically-grown deep-toasted Kinako (soybean flour) or freshly-ground green tea powder over it before eating (they are included with the product.) 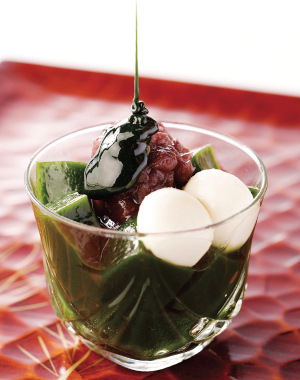 You can enjoy three different tastes with this Kyoto-inspired summer delicacy. 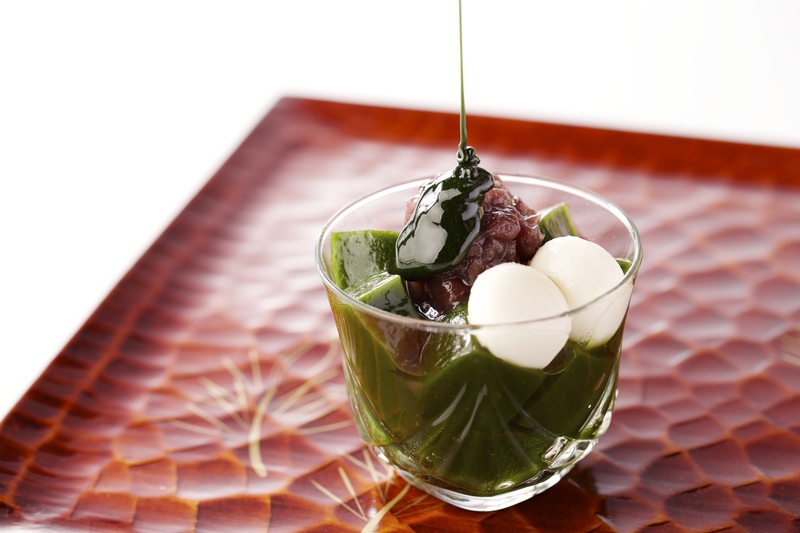 Beautifully–ground, glass-like jelly, richly contains Uji green tea cream, mixed with azuki beans, which was inspired by our summer delicacy, Ujikintoki (Green tea syrup and bean jam). 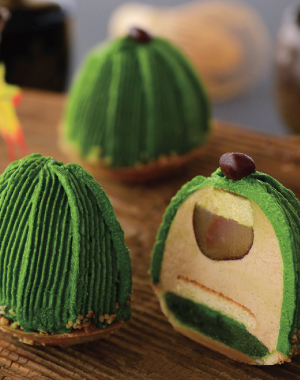 Its smooth and elegant texture is perfectly suitable for a summer season dessert. Sprinkle as much savory kinako (soybean flour) over it as you like, before eating! 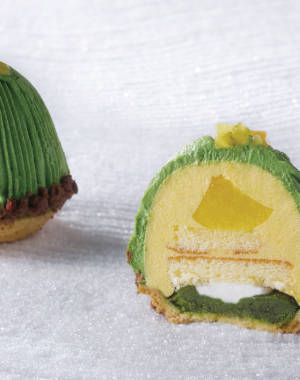 Mango cream containing mango with full of juice is spread over cookie dough paved with bittersweet Matcha crème d'amande; sealing in a refreshingly rich Matcha cream taste. 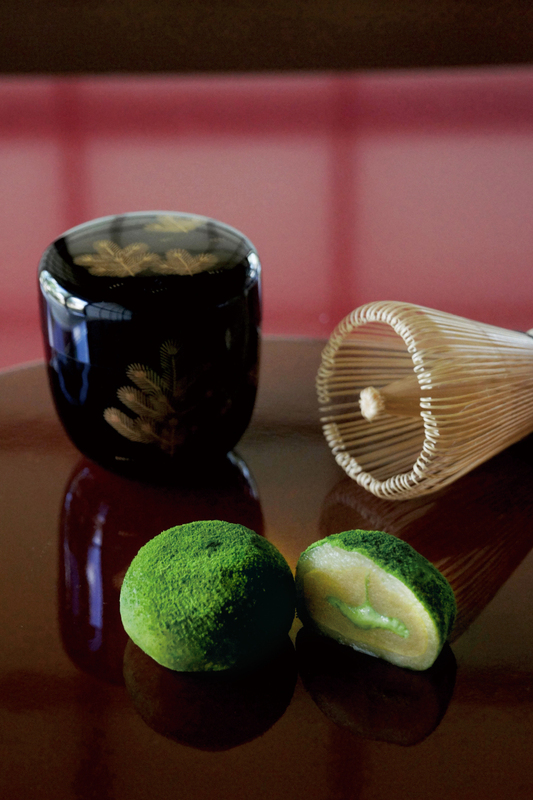 Please enjoy the feast with traditional stone-ground Uji Matcha from an established shop and mango. 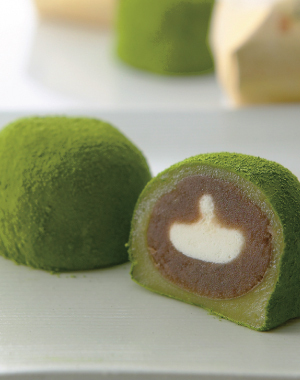 Marron cream containing jiggly yuzu warabimochi (bracken-starch dumpling) is spread over cookie dough, paved with bittersweet Matcha crème d'amande; sealing in refreshing yumminess and its aroma with Matcha cream. 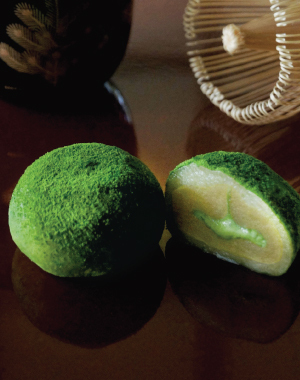 The refreshing aroma of yuzu warabimochi and Hokkaido-grown adzuki (red beans) for the topping complements the flavor of the traditional stone-ground Uji Matcha of this established shop. 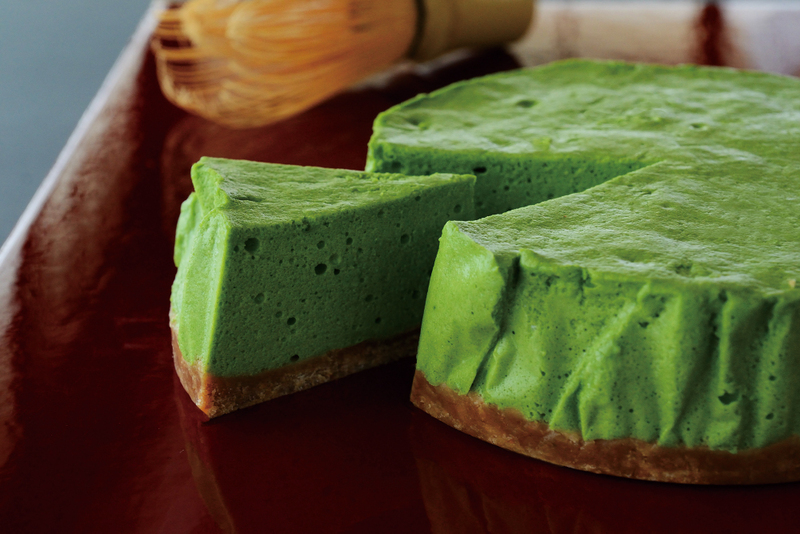 Please enjoy this refreshing piece using ever-elegant Matcha. 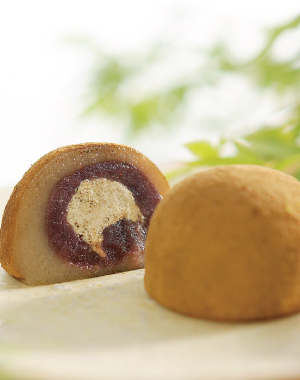 This is a flavorful Daifuku (a soft round rice cake stuffed with sweet bean jam) with a wealth of spicy and fresh-roasted Hojicha sprinkled on the surface of soft Habutaemochi stuffed with Kokutoan made from Hokkaido-grown red bean jam and smooth cream. A generous dose of Hojicha is also kneaded into the cream. 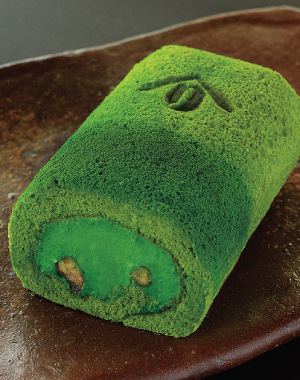 Rich cream using freshly stone-ground Uji Matcha is coated in sweet red bean jam, which seals in the aroma of a the flaky Naruto Kintoki sweet potato; gently wrapped in brilliant green dough in which Uji Matcha is kneaded. 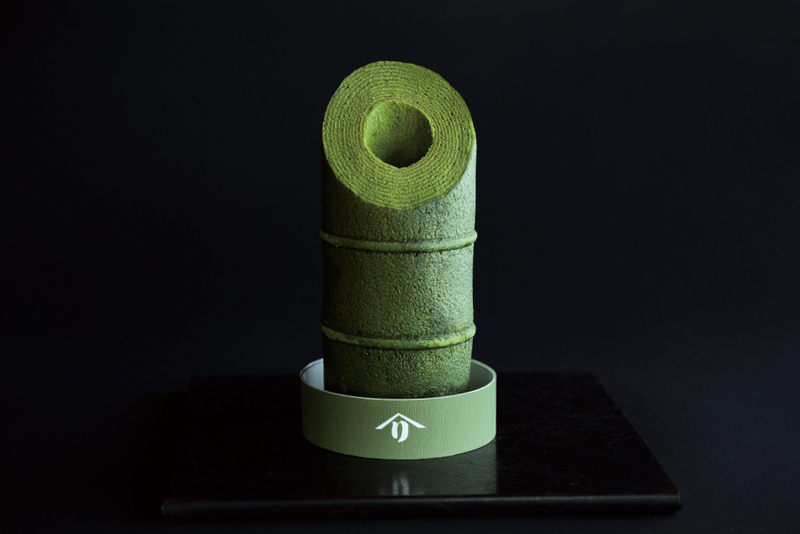 For an even more special touch, the surface of the dough is also sprinkled with Matcha to create an extravagant masterpiece, paving the way for you to fully enjoy the Uji aroma. 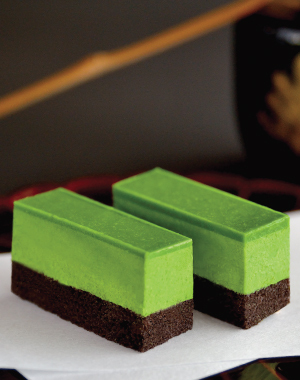 Please enjoy this Matcha sweet along with a slow-paced tranquil moment. 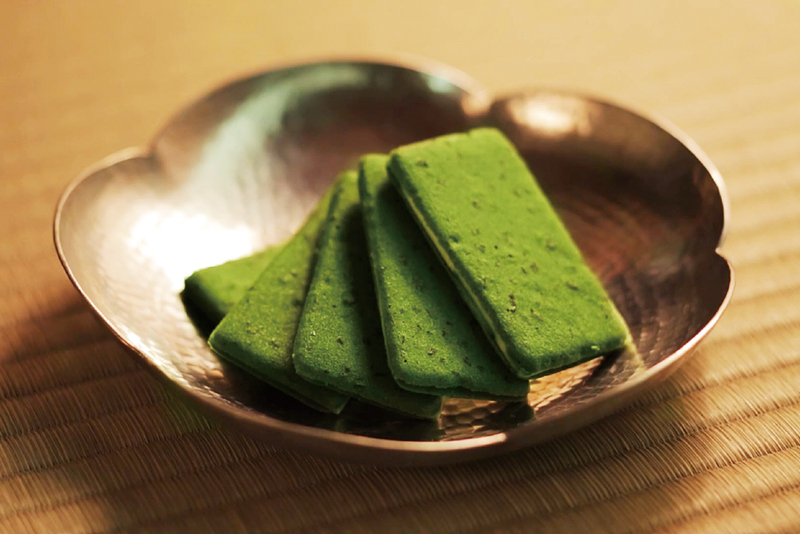 “Fate of Tea - Strong Green Tea Rusk” was created as the result of a collaboration between two long-established firms; the tea company, Tsujirihei-Honten, Uji, Kyoto and the confectioners, Poire, in Tezukayama, Osaka. The all-out efforts of their artisans, some chemistry and serendipity led to the creation of this rusk. Serendipity and bonds happen everywhere and anywhere. 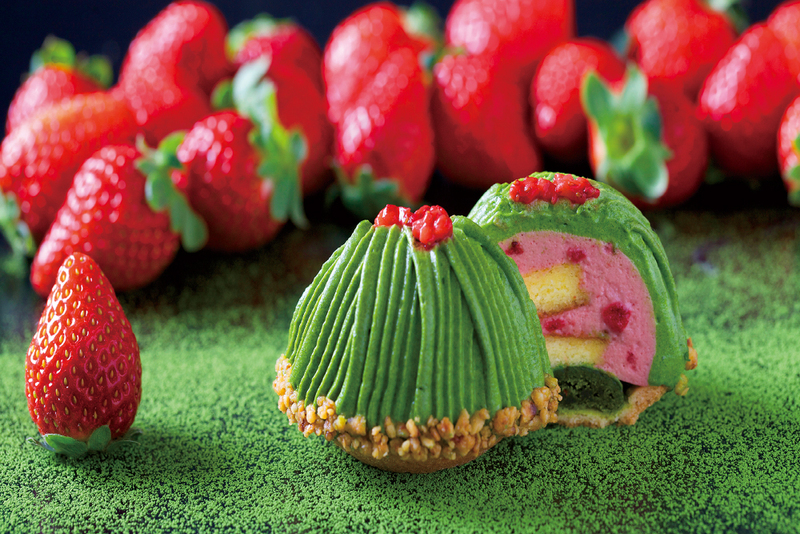 This masterpiece was created through the passion of two long-established purveyors of confectionery. One of Japan’s classic literature masterpieces, “Genji Monogatari” (Tale of Genji) has a chapter called “Uji Jujo,” in which the story takes place in Uji, Kyoto. The romantic saga “Genji Monogatari” has remained popular over the millennium since it was written. 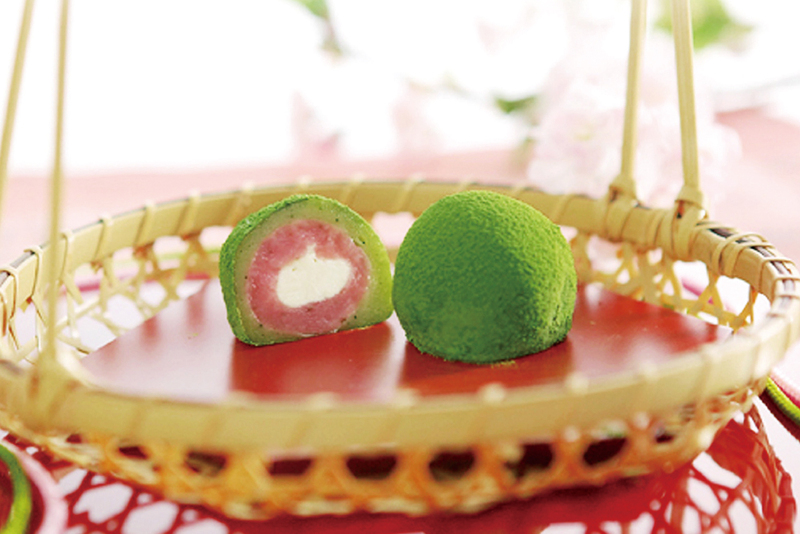 Inspired by the masterpiece and its location, Uji, we have created “Okoikoi” Daifuku. Its name originated from the Japanese word “koi” meaning “love” and “okoi-cha” meaning “thick green tea” with the hope that this product may act as a kind of amulet attracting good, loving relationships. 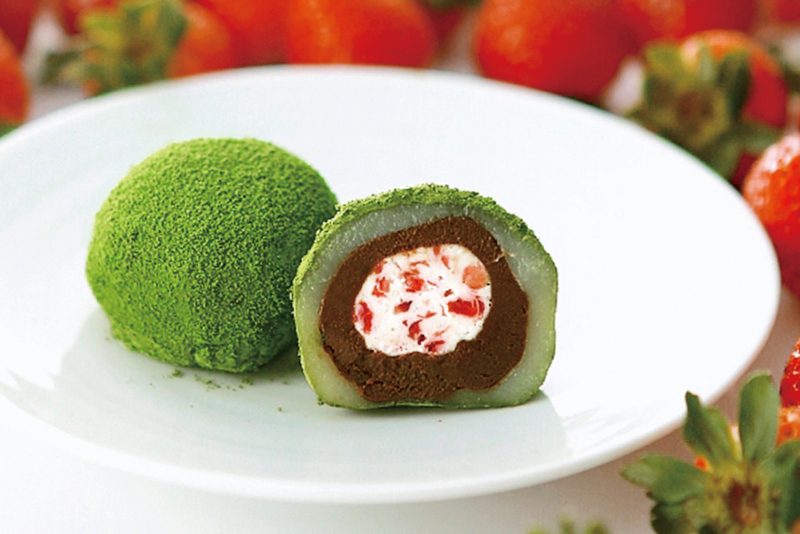 Soft Habutae rice cake containing crushed strawberries and chocolate is thoroughly sprinkled with freshly-ground organic green tea powder. Please indulge in this luxurious, sweet pleasure. 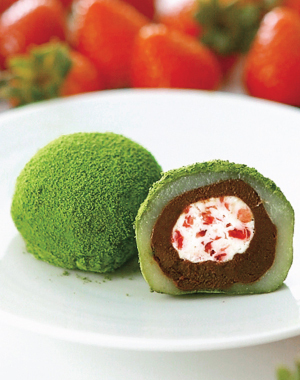 A cream featuring a wealth of sweet-and-sour European-grown dried strawberries kneaded extravagantly is spread over cookie dough paved with bittersweet Matcha crème d'amande; a fragrant masterpiece sealed in shiny rich Uji Matcha cream. Six types of Uji tea; i.e. 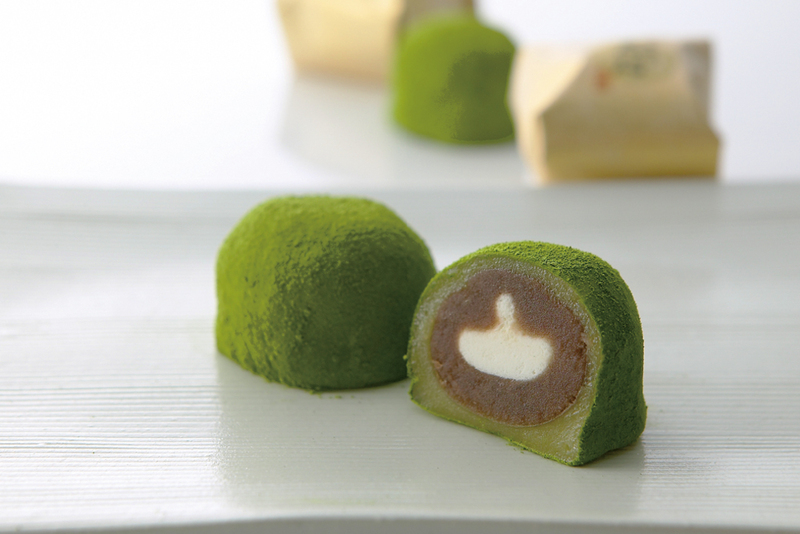 rich Koicha, Gyokuro, Sencha, Genmaicha, Hojicha and Kyobancha are used as ingredients to be extravagantly kneaded in white chocolate. 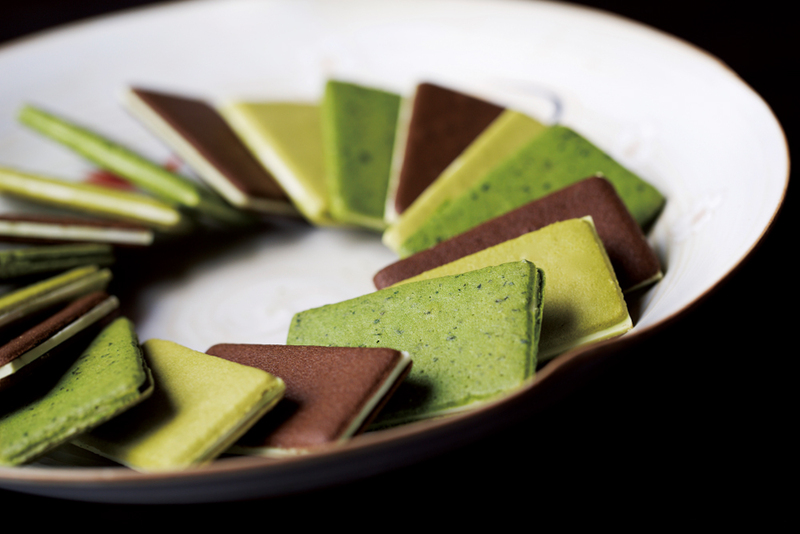 Colorful and fragrant Uji tea chocolate used to envelope mashed and sweetened chestnuts. 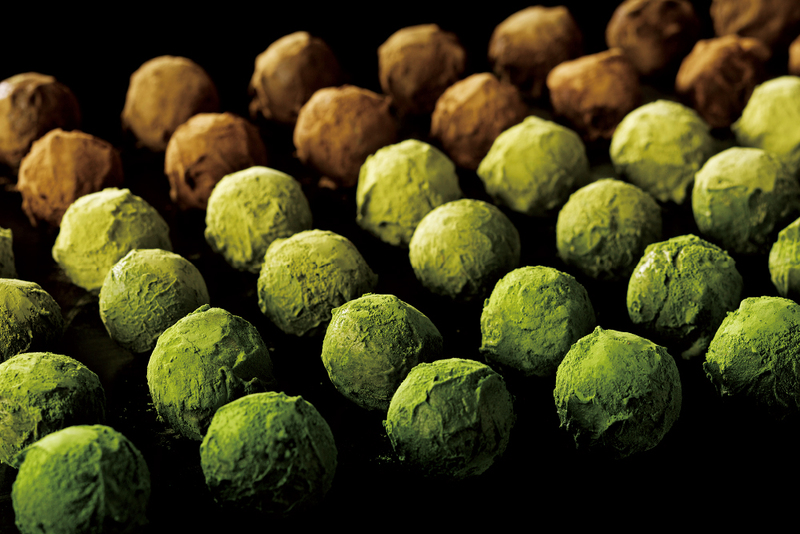 “Uji tea” as an umbrella term covers myriad flavors and you can enjoy the wide-ranging aroma of Uji tea through this assortment of truffles.